Universal Credit Misery Comes to Suffolk. Universal Credit Full Service is expected to be introduced at Ipswich Jobcentre on the 25th of April 2018. Already people are talking about what this will mean for them. One group seriously affected are the self-employed and others reliant on tax credits. Friends who work for a number of jobs over the year are particularly worried as they reckon they will lose up to a couple of thousand pounds annually. They have been good girls and boys, getting into the “gig economy” (that is, the only employment on offer for many), doing jobs like taxi driving, a host of other things which are now down by the ‘self-employed’ , short-term posts for particularly events. Now they face losing cash in a big way. Not to mention the way it will bear down on them in other ways as pictured above. There are plenty of reports on how this will attack them in the pocket. The TUC goes into some detail. The complexity and hardship with which Universal Credit (UC) threatens to engulf self-employed workers is one of the underreported stories of the design of UC. In UC, they will face in-work benefit cuts if they do not meet the ‘Minimum Income Floor’ (MIF), which requires them to earn the equivalent of 35 hours a week at the National Minimum Wage. There is no such requirement for employees. In addition, the monthly income assessments in UC are expected to be problematic for the self-employed, as they are more likely to have unpredictable and fluctuating earnings. Self-employment has grown significantly since the recession. There are now almost an extra million self-employed workers, increasing the self–employed workforce to just under five million and 15 per cent of the total workforce. Part time self-employment has seen the biggest expansion, rising by 55 per cent to reach around 1.5 million people. Earnings data for the self-employed indicate that they are more likely to be on lower earnings compared to employees. The Family Resources Survey shows that median earnings for the self-employed are around 60 per cent of those of employees. The Social Market Foundation (SMF) estimates that in 2016 there were 1.7 million self-employed workers paid below the National Living Wage. This group accounts for 45 per cent of the self-employed in the UK. The SMF also estimates that around a fifth (19 per cent) of families with an individual whose main job is self-employment are claiming in-work benefits such as tax credits and housing benefit that will be replaced by Universal Credit. This makes the results clear. As the table below shows, two people can earn the same amount over the course of the year yet end up with very different UC payments because one has lumpier income patterns than the other. The MIF may also be triggered when claimants have a large expense in one month, such as an investment in tools or a hefty energy bill. 40,000 Universal Credit claimants will see 40% of their benefits clawed back. Mirror. 8th of April. Thousands of Universal Credit claimants are having 40% of their benefits deducted to claw back outstanding cash owed. Labour MP Ruth George said the move “will see more people with no option but to go into debt”. The Department for Work and Pensions can directly collect debts from Universal Credit including for previous benefit and tax credits overpayments. Just to help the thieving Tories who run Suffolk County Council have cut CAB funding. 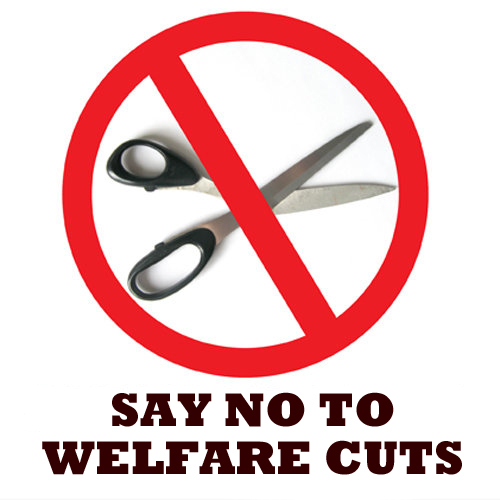 Millions Face Income Cut with Welfare Reform. I thought a lot about this yesterday. First of all, let’s not forget that the Benefits Freeze means we are no longer able to keep up with every rising prices in the shops, utility charges and higher Community Charge. Next, the report highlights the fact that many people on Local Housing Benefit, are no longer getting their rents fully paid. FInally you can guess the DWP’s response without even reading the article. In other words, ‘improve your lives” by getting out of the claws of the DWP and its so-called Universal Credit. The combined effects of the major reforms implemented before 2017, namely the underoccupation charge (NOTE by Ipswich Unemployment Action, the Bedroom Tax) , the localisation of CTRS, the LHA shortfall and both benefit caps, result in an average nominal income loss of just over £23 per week for each working-age household. The transition to Universal Credit will lead to a further average income loss of £11.18 per week. This is largely due to cuts in work allowances which will hit households, often with children and previously in receipt of tax credits, particularly hard. The introduction of the National Living Wage and increases to the personal tax allowance will generate almost £3.2 billion for working, low-income households, reducing the average nominal income loss by 2020 to £7.62 per week. falls in real income. Private renters will be particularly hit because the link between the Local Housing Allowance rate and market prices has been broken. The growing disconnect between rents and LHA rates means that the gap between housing support and housing costs will increase disproportionately for private sector renters. Nominally, private renters will be £2.75 per week better off by 2020, as they are more likely to be in work and so benefit from the increase in the National Living Wage and Personal Tax Allowance. However, once expected inflation and private rent growth is factored in, private renters will face average real terms losses of £38.49 per week, with higher losses for larger families. ..for millions of low- and middle-income Britons, living standards looked under threat even when Brexit was nothing more than a twinkle in Boris Johnson’s eye. The key moment came when, fresh from the Conservatives’ 2015 general election victory, the chancellor George Osborne delivered a budget that promised to “reward work and back aspiration”. True to his word, he presented some very good news by introducing the national living wage – a sizeable and welcome supplement to the minimum wage for employees aged 25 and over. But the good news was eclipsed by the bad. The estimated £4bn boost from the national living wage was dwarfed by savings of £14bn from cuts to working-age welfare. What’s more, the welfare cuts are concentrated among poorer households. In the coming years, Britain faces the prospect of the first significant rise in inequality in three decades. There is plenty to add: as people have already noted they’ve found the cash for the Police and the Prison Officers. Vote Labour, Vote Sandy Martin for Ipswich. This is not just a general appeal for vote Labour but a specific call to back Sandy Martin in Ipswich. Sandy worked in the Ipswich Community Resource Centre, affiliated to the TUC Centres for the Unemployed, when it was in Old Foundry Road. He has been a tireless campaigner for the rights of the unemployed, and for all those on benefits. Sandy has joined the national days of action against Benefit Sanctions and participated in TUC events for welfare rights. This is a picture of him in Ipswich, outside the JobCentre in Silent Street. Sandy Martin Joins Protest Against ATOS and Benefit Sanctions. The Labour candidate for Ipswich has backed many other causes, from the campaign against Tory austerity, to the defence of the NHS, which have wide support. Demo for the NHS 2017. For many people their 60th birthday is time to look forward to new challenges – but for Sandy Martin the challenge is more daunting than most. Because on the day he celebrated his landmark birthday he was formally chosen as his party’s candidate in the marginal Ipswich seat at the 2017 General Election. He will be trying to overturn Conservative Ben Gummer’s 3,733 majority from 2015. Mr Martin is leader of the Labour group on Suffolk County Council – and was also celebrating 20 years as a member of that authority on the same day. May 2 is clearly a significant date for him! He has lived in Suffolk most of his life and moved to Ipswich from Halesworth in 1993 – and said he felt it was important that someone who really knew the town could represent it in Westminster. Mr Martin is a regular campaigner with his Labour Party colleagues – and is seen as coming from the party’s mainstream tradition. From his discussions on the doorsteps he said people in the town were most concerned about the everyday issues that directly affected them – especially health, education and housing. Mr Martin said the role of an MP was not just to support their party in Westminster – it was also to act as an ambassador for their constituency. And he felt that Ipswich was in a very strong position: “When you look at the port and the Waterfront and the proximity of the town to London, we are in a very fortunate position. He is unconvinced by the arguments for a new large bridge linking the east and west banks of the River Orwell – but backs proposals for new bridges to allow the development of the island site at the Waterfront. And he feels the best way of easing traffic in the town centre would be to build the long-awaited northern by-pass. 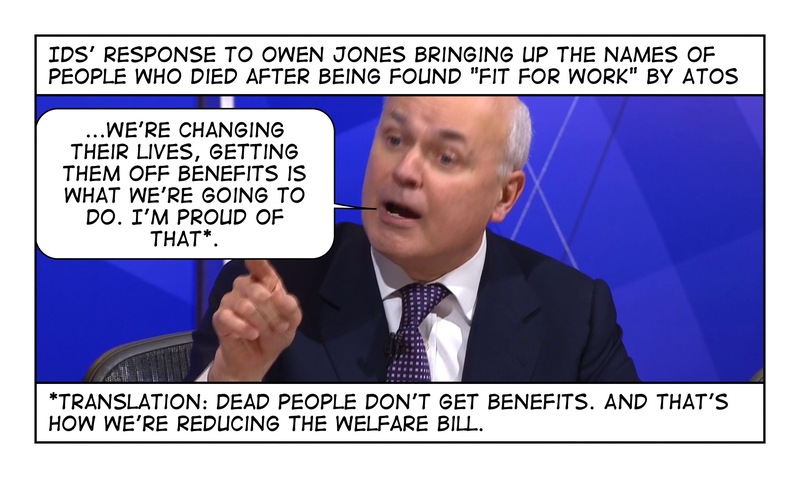 Theresa May, from “no” more Welfare Cuts, to…..Cuts. No more welfare cuts to come under Theresa May, says minister. Independent. 18th of September 2016. Damian Green, the work and pensions secretary, hints at end to austerity agenda, promising no further raids on benefits.There will be no more welfare cuts under Theresa May’s government after those have already been announced, the work and pensions secretary, Damian Green, has announced. A recent report from the left-leaning Resolution Foundation think tank warned Tory policies are causing “the biggest increase in inequality since Thatcher”. Their research found that the rollout of more than £12bn of welfare cuts, coupled with poor wage growth, means household incomes after housing costs are set to grow by just 0.5% a year between now and 2020. Commenting on the research, Torsten Bell, Director of the Resolution Foundation, said at the time: “Britain has enjoyed a welcome mini-boom in living standards in recent years. But that boom is slowing rapidly as inflation rises, productivity flatlines and employment growth slows. “The squeeze in the wake of the financial crisis tended to hit richer households the most. But this time around it’s low and middle income families with kids who are set to be worst affected. Disability benefit change shows Tories are still ‘nasty party’, says Corbyn Guardian. Expect a cut in some people’s potential benefits. Rise in Homeless Numbers set to Accelerate with Benefit Cuts. A Common Sight these Days. The number of people sleeping rough is at a five year high – so how big is Ipswich’s homelessness problem? Ipswich Star (end of November). 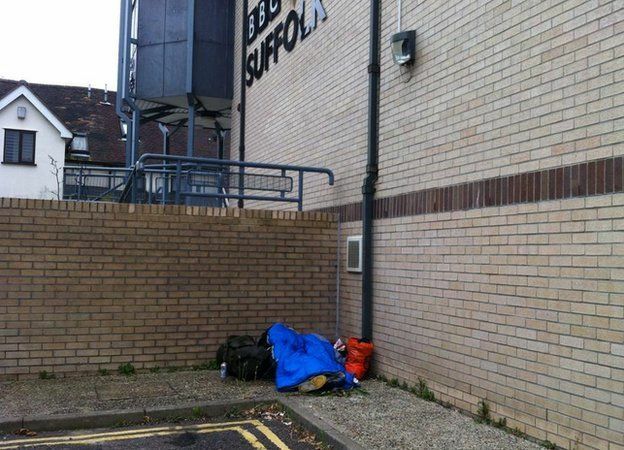 The number of people sleeping rough in Ipswich has hit its highest level for at least five years. Latest figures show there were 16 people regularly living on the streets, compared to just five in 2013. And 19 vulnerable people with housing issues are believed to have died in the town in just 16 months. Many of these 19 deaths were down to mental health concerns, or drug and alcohol issues, Miss Raychaudri said, but changes to the benefits system have also pushed people in Ipswich into crisis. In a bid to curb the growing problem, more than 40 agencies came to together four years ago to form the Ipswich Locality Homelessness Partnership. The aim is to work side by side to rid the town of rough sleeping and to prevent vulnerable people from losing their homes. At the heart of this partnership is the Chapman Centre, based in Black Horse Lane. London’s homelessness count continues to rise said the Guardian earlier this month. London dominates estimates of national homelessness newly published by Shelter. This, of course, is no surprise. Neither are high levels of homelessness anything new in the capital. In his book London: The Heartless City, published in 1977, David Wilcox reported that “by the end of 1976, 15,000 families were recognised as homeless”. And that was 10 years after Cathy Come Home. Has anything improved? Shelter calculates that 170,000 people are homeless in London today. The Department for Communities and Local Government (DCLG) has told the Guardian it does not recognise Shelter’s figures and provided one of 52,820 homeless households in temporary accommodation in London as of the 30 June. However, as households frequently comprise more than one person and Shelter’s figures are mostly drawn from the DCLG’s own data on temporary accommodation and rough sleeping, the difference between the two might not be so great. Thousands of families teetering on brink of homelessness this Christmas after benefit changes, reports the Mirror. Labour MPs and town hall leaders say the savage Tory government cut will leave vulnerable families at breaking point just as they are most stretched. Thousands of Britain’s poorest families could be left on the brink of homelessness this Christmas due to a ‘disgraceful’ new benefit cap. Labour MPs and town hall leaders say the savage Tory government cut – introduced today – will leave vulnerable families at breaking point just as they are most stretched. Under the new rules, the maximum benefits that can be claimed by couples and lone parents is set to drop by £6,000. While some will struggle this Christmas, the full impact is not expect to hit until the New Year. The cap will also hit affect full and part-time carers.It covers most benefits, including Child Benefit, Child Tax Credit, Jobseekers’ Allowance, Income Support, Housing Benefit and Universal Credit. The new rate will be £20,000 a year – £384.62 a week – for couples and families outside London, down from £26,000. Some families will lose up to £115 a week. Department for Work and Pensions bosses say the measure will stop families getting huge payouts without working, but campaigners have dubbed it a ‘cruel’ attack on vulnerable people. It is a cruel system that needs getting rid of, now!